Global Positioning System Offers Worry-free Flight. Your Bugs 3 pro is always under control. Sate-of-the-art GPS system makes the Bugs 3 pro completely aware of its location and relation to you. It hovers precisely,moves accurately,and locks onto satellites fast. 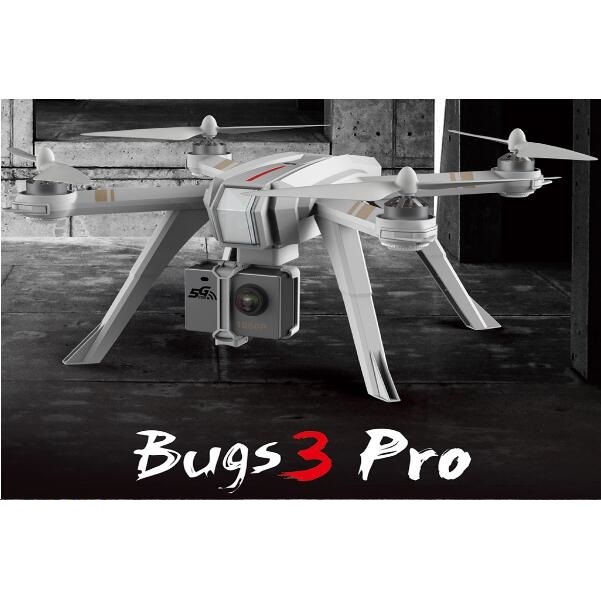 3 types of Return-to-Home(RTH) are designed to protect your bugs 3 pro. 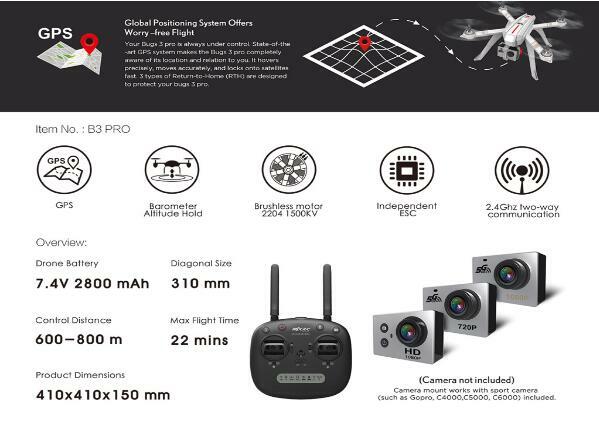 Function:GPS,Barometer Altitude Hold,Brushless motor 2204 1500KV,Independent ESC,2.4Ghz two-way communication.